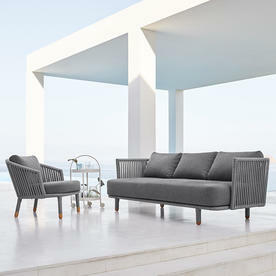 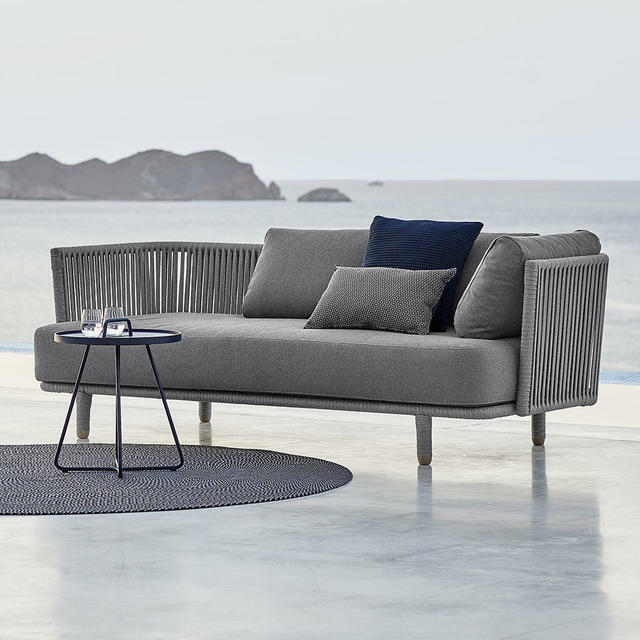 Deep, comfortable, all weather outdoor lounge by Cane-line. 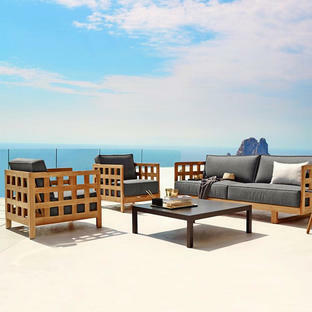 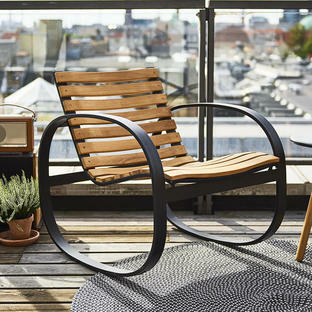 The Moments outdoor lounge furniture has been designed by the Danish design duo Foersom & Hiort-Lorenzen MDD. 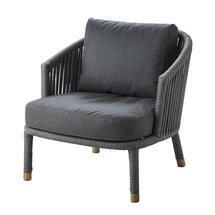 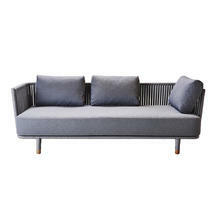 The 3 seater sofa and luxury deep seating armchair is the best of elegant minimalistic Scandinavian design. 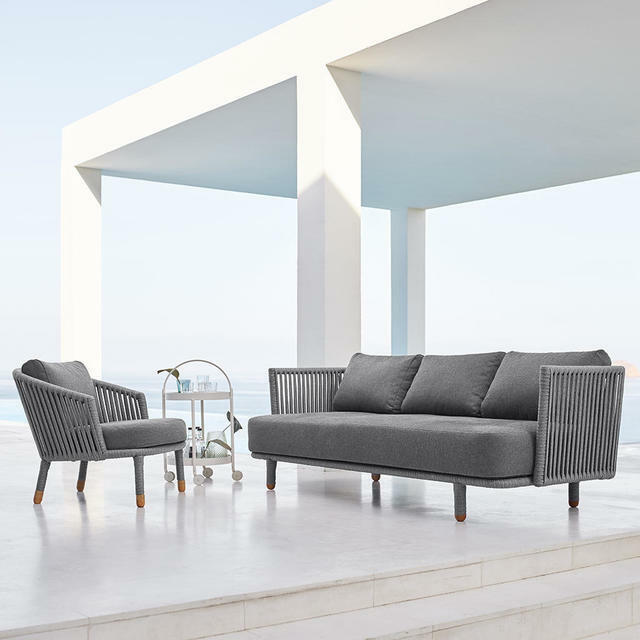 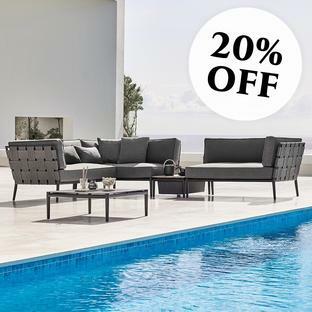 The sofa and the armchair is produced using Cane-line all weather Soft Rope and all weather Soft touch QuickDry fabric cushions, over a powder coated aluminium frame with teak detailing. 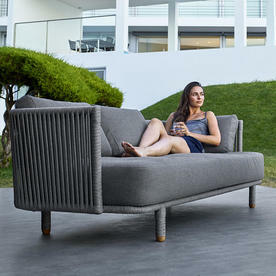 The sofa comes with 3 deep back cushions and the armchair one deep back cushion.